Can a Tennessee Building Owner Blame for an Accident on Their Property? People often think of premises liability cases in terms of businesses and their customers. For instance, if someone is shopping at the supermarket and slips on a puddle of water in the middle of an aisle, the store owner may be held liable for any injuries. But anyone who is lawfully invited onto a property may file a claim if they are injured as the result of the owner’s negligence. This includes contractors and subcontractors hired to work on the property. 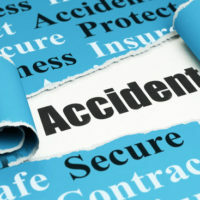 Of course, even a contractor must prove causation–that is, the owner’s failure to exercise “reasonable care” for their property was the proximate cause of their injury. This is often more difficult for people working on a property than a customer, as the property owner may try and shift the blame onto the contractor’s own safety practices, or lack thereof. The plaintiff filed a personal injury lawsuit against the defendant, alleging the latter was negligent in failing to “properly inspect and maintain its ladder in good condition.” The case proceeded to a jury trial in Dyer County. At trial, the defendant argued it was not responsible for the accident. To the contrary, the defense cited the plaintiff’s “comparative fault,” alleging he failed to follow applicable Occupational Safety and Health Administration (OSHA) regulations while using the ladder. The jury ultimately returned a verdict for the defendant. The plaintiff appealed. But in a September 2018 opinion, the Court of Appeals upheld the verdict. The appeal largely centered on the trial judge’s decision to permit the testimony of a defense expert witness over the plaintiff’s objections, as well as the court’s refusal to issue special jury instructions requested by the plaintiff. With respect to the latter issue, the Court of Appeals noted the trial judge did nothing more than follow the model jury instructions for premises liability cases. At the end of the day, the appeals court concluded, the plaintiff simply failed to prove his case. Personal injury cases are never simple. You should never assume that a defendant’s negligence is “obvious.” That is not how jury trials work. The burden of proof is always on the plaintiff, not the defendant. So if you have been injured due to someone else’s negligence, you need the assistance of a qualified Knoxville personal injury lawyer to build a successful case. Contact the offices of Fox & Farley, Attorneys at Law, to speak with a member of our legal team today.